There are many factors to consider before you install a new roof on your residential or commercial property. A new roof is a major investment, but it also can affect the overall look of your property, repair and maintenance requirements over the years and even energy efficiency. Clearly, this is not a decision that you want to rush into, and you need the expert guidance of a skilled roofing company to help you explore all of your options in more detail. Since 1995, Premier Roofing has been one of the most trusted roofing companies that residents across central and northern Florida and beyond have turned to for their roofing needs. 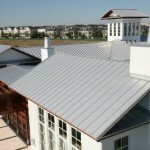 Commercial and high-end residential property owners alike often consider premium roofing materials for their properties. Florida slate roofing is one of the most coveted and desirable materials that property owners are selecting because of its distinctive look. This material is available in various colors, so it may be ideal for your property. By contacting Premier Roofing today, you can schedule an appointment to meet with a knowledgeable member of our roofing team. Through this meeting, you can explore the different materials options and can learn more about the benefits associated with this material. Windermere metal roofs are another popular option because they are stylish and have relatively low maintenance requirements. They also have a considerably lengthy life when they are properly maintained, so the installation of Windermere metal roofs may be a true investment. Whether you are torn between a metal or slate roof or you want to explore other options like concrete, clay tiles or other materials for your roof, our team of roofing experts can walk you through the entire process. We can help you to learn more about the benefits, maintenance needs and installation costs for all of the materials that you are interested in, and we can bring samples of the materials to the meeting for you to review. At Premier Roofing, we are dedicated to providing you with a quality roof and to your complete satisfaction. Call us today to learn more about our roof installation services in Florida.